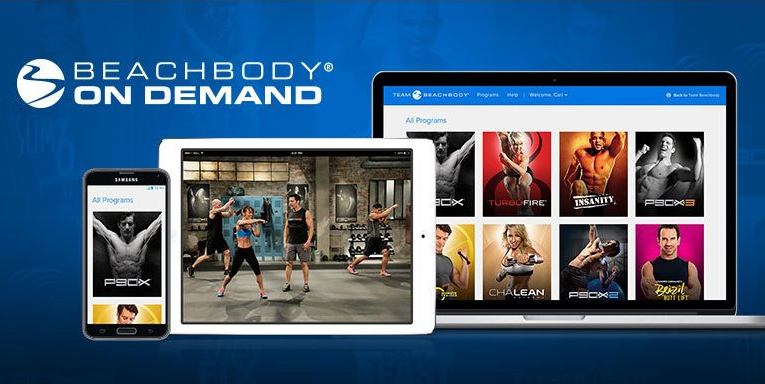 When will Beachbody On Demand Launch? Beachbody On Demand is expected to launch spring 2015! Team Beachbody members will automatically have unlimited access to stream workouts from a list of Beachbody’s most popular fitness programs. Once logged into TeamBeachbody.com- Club members will select the Start Streaming tab from the home page, choose any fitness program in the streaming library, and stream any wokout from the program! What fitness programs will be available in the Beachbody digital library? Yes. Some people still want to own DVDs. High speed Internet access is not available to everyone. Also, purchasing DVDs creates permanent ownership. On Demand users only have access to streaming Beachbody On Demand programs only as long as they are paid Club members. Of course, those On Demand programs no longer produced in DVD format will only be available in the On Demand catalog. Are other Challenge Packs going away with the release of Beachbody On Demand? No. By combining fitness, drinking Shakeology daily, and a Coach’s motivation and support, Challenge Packs remain the best solution for people to get results. Popular and top-selling products will continue to be offered in Challenge Packs. Will the price of the Club membership increase? The price is not increasing in Spring 2015, but may increase in the future. Will a customer need to buy the fitness program to stream? No. Programs inside the digital library come with paid membership. Will streaming workouts be available on Beachbody.com too? No. They are exclusive to TeamBeachbody Club members. Will Club members be able to stream workouts internationally? Will free members have access to stream workouts? No, but they can upgrade to paid Club membership easily. Click HERE to upgrade. No. Unlimited access will be included in Club membership at no extra cost. Will the workouts be closed-captioned? What languages will workouts be available in? All videos will be in English at this time. Will the videos be available to stream in HD? Will there be a Club and Shakeology Challenge Pack? Yes. A Shakeology + Club Challenge Pack is planned, to be released near On Demand launch. Will an IOS or Android App be available? No. Workouts will play on mobile devices via a browser. Will the workouts be available on ITunes, Amazon Prime etc.? No. They will only be available to Club members on TeamBeachbody.com. No. An internet connection will be required to stream workouts. Will Flash Player be required to play a workout? No. Flash will not be required to play a workout. Will Silverlight be required to play a workout?